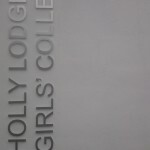 Year 2 RE Undergraduate students prepared for their placement with a visit to one of our partner schools Holly Lodge Girls’ College where Former Edge Hill graduate Terri Lee is Head of RE and led the informative and useful session. 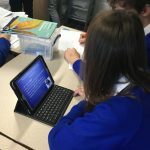 The afternoon began with a quiz using Socrative, to assess our prior knowledge. 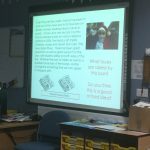 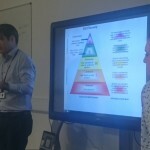 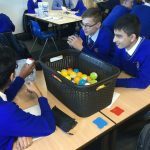 Then Colin Riddell, Lead Learning Innovator at the school, went through some of the theory surrounding SOLO taxonomy, including Lego and y8 science examples. Rachael Douglas: The session really enthused me. 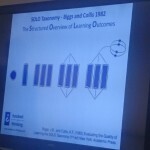 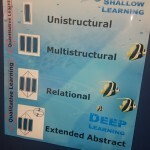 I loved learning about solo taxonomy and want to apply this method of teaching if I can. 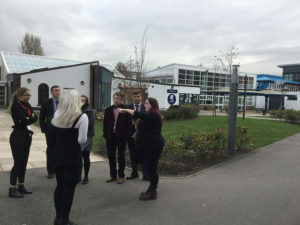 Good to visit the school as well. 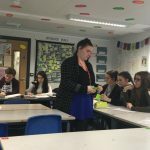 Applying this to RE, Terri showed us an example of how she used SOLO taxonomy in her practice- an example from A Level Business Ethics. 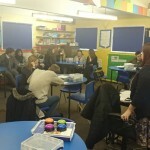 Students then had opportunity to work on their own lesson plans structuring the planning using SOLO taxonomy. 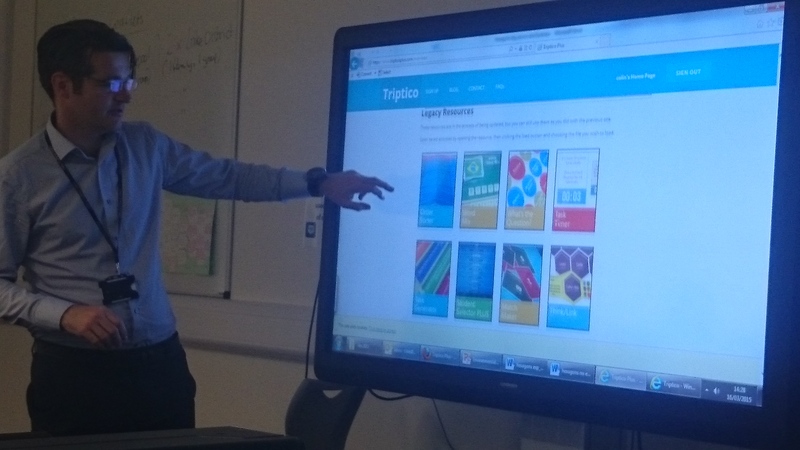 Next, Colin showed us Triptico, an Internet based collection of interactive resources which enable imaginative teachers to create engaging learning tools. 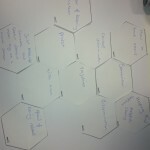 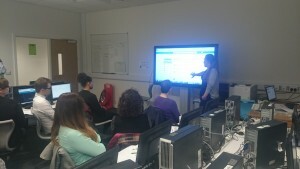 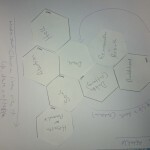 One of the features is the ability to move and create hexagons on an interactive whiteboard, clearly linking to SOLO. 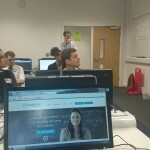 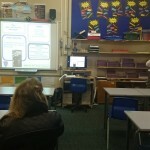 Next up was Edmodo, described as a bit like Facebook for schools. 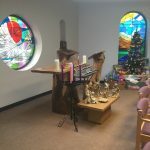 This is completely free! and gives teachers the ability to communicate safely with pupils. 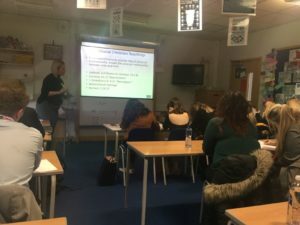 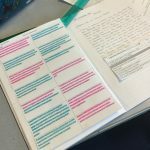 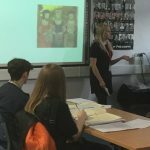 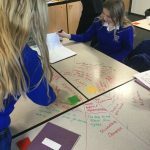 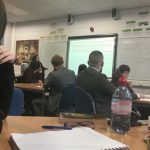 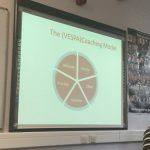 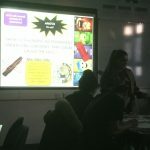 Terri showed us how she uses it with her A level students for discussion and younger pupils as a way of sharing resource which she suggests is particularly useful for stretching higher level students. By signing up and joining the classroom, we were all able to access the resources from the day. 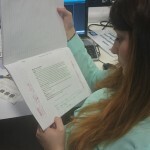 Lastly, Terri showed us progress books, which look good in principle – as a way of tracking progress throughout a pupil’s school career, Fillling these out by hand could be can be quite tiem consuming, so creative staff such as Terri and Colin have used Google forms to generate this feedback in an efficient way. 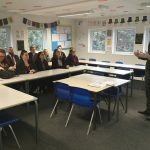 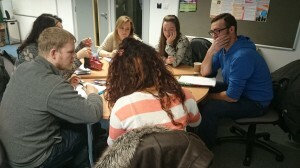 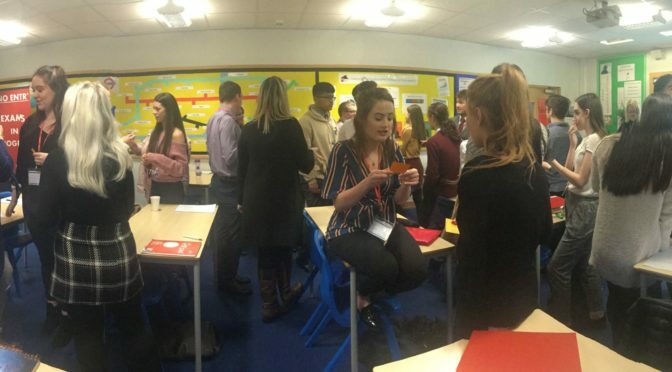 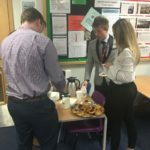 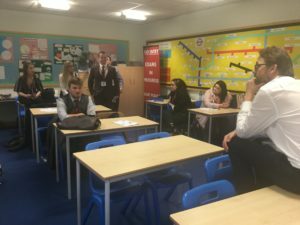 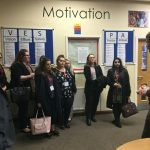 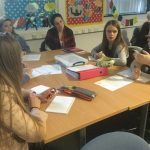 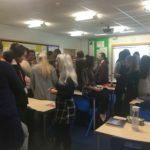 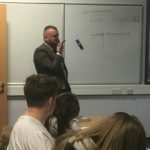 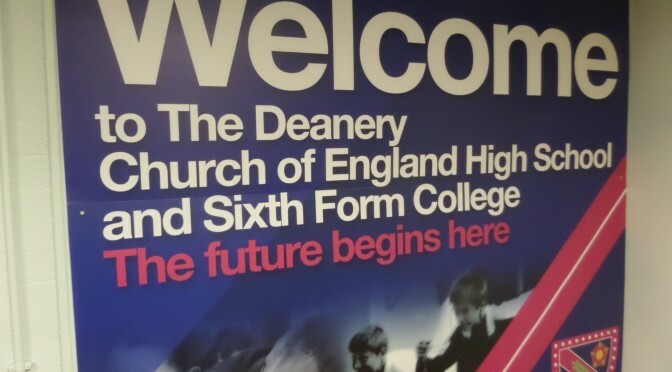 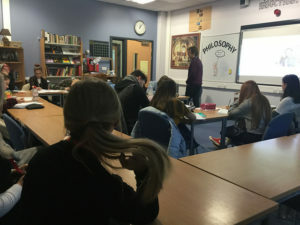 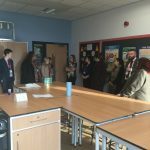 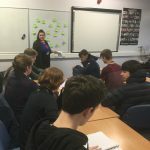 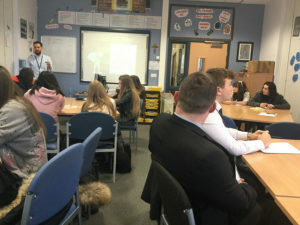 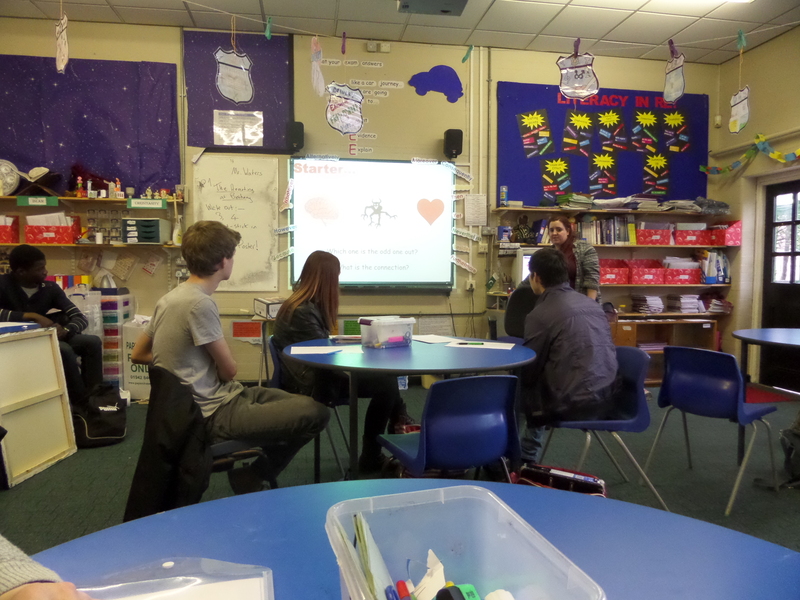 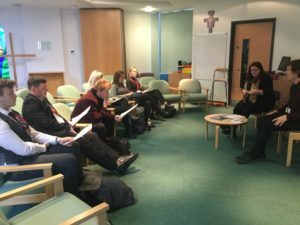 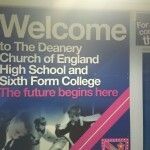 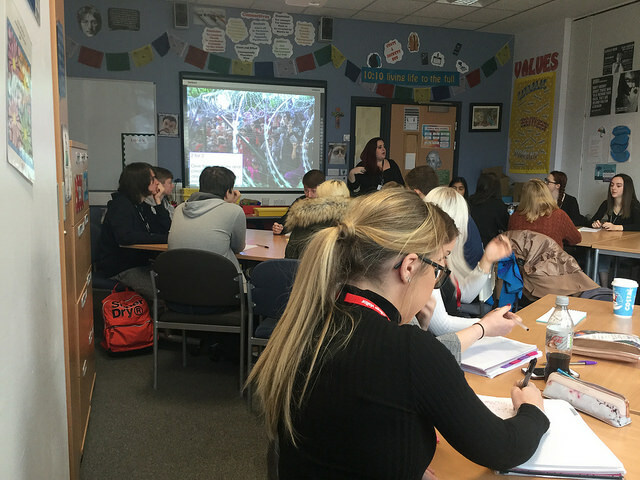 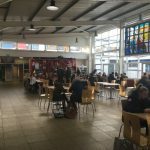 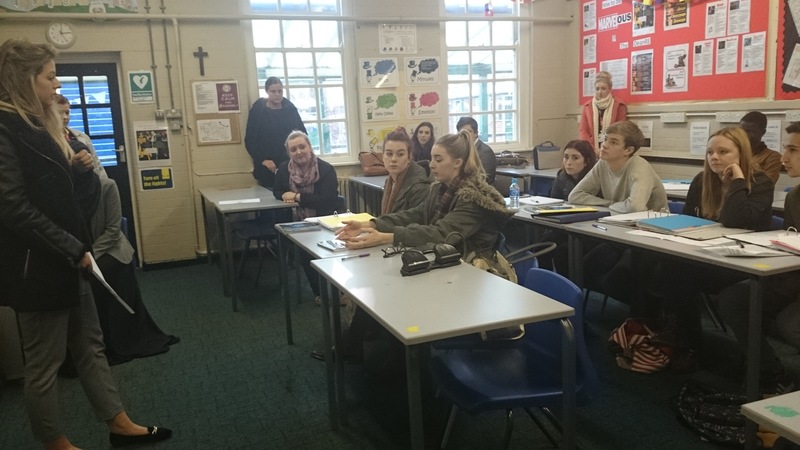 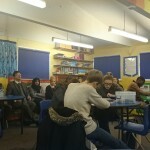 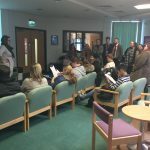 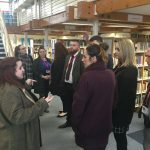 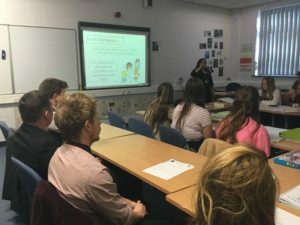 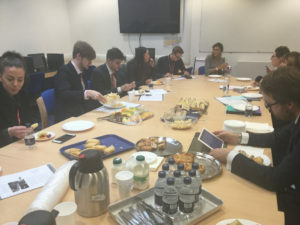 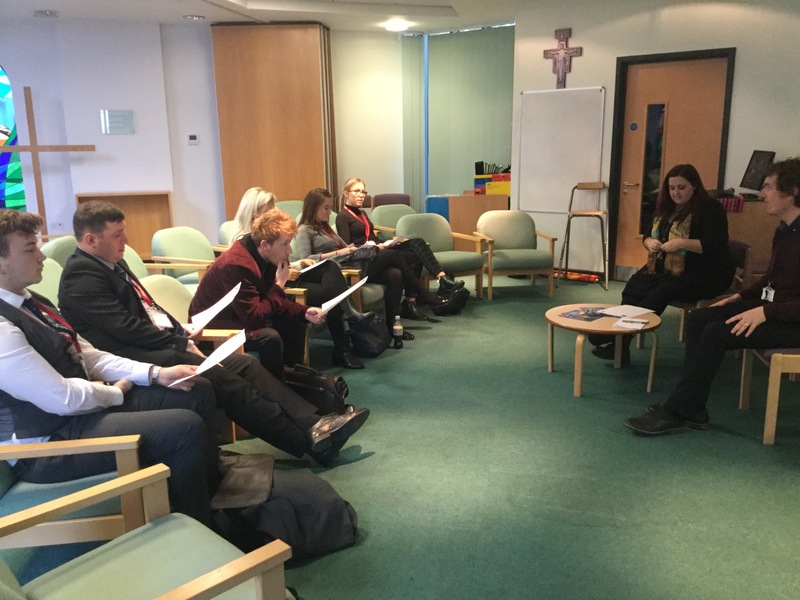 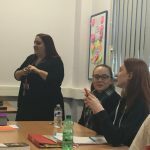 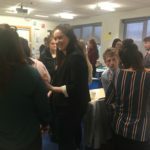 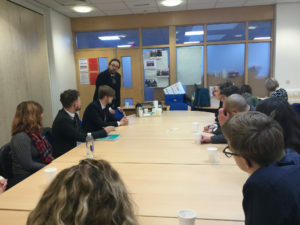 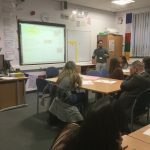 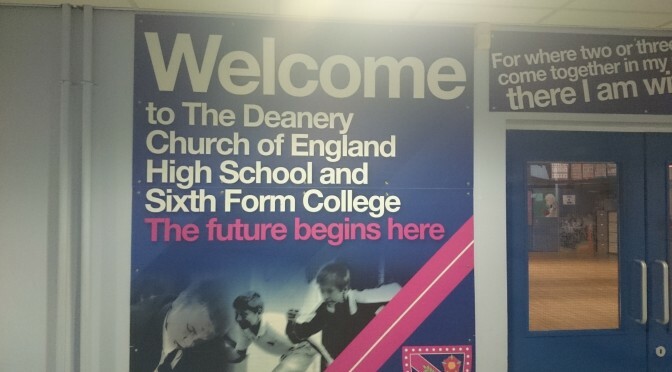 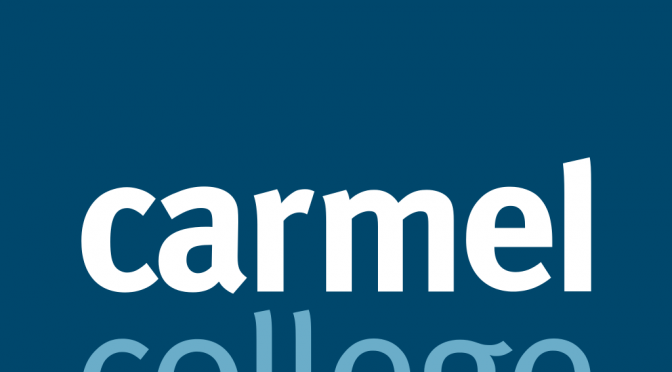 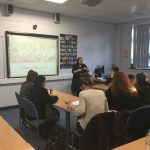 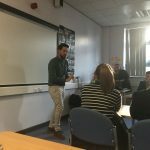 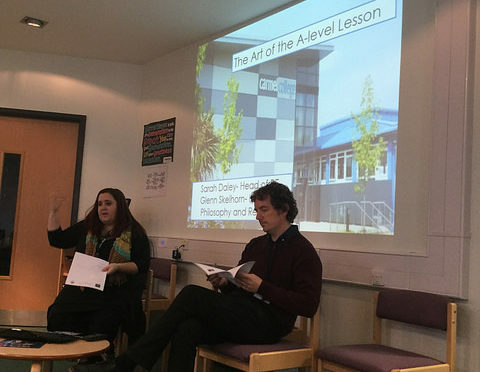 As a follow up to the inspirational day with Peter and Charlotte Vardy, Final Year Undergraduate students visited Deanery CofE High School and Sixth Form College in Wigan, to hear about the practicalities of teaching Post-16 students. 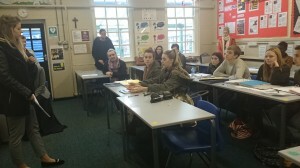 The day began with students observing a Lower Sixth Ethics lesson with Mr Michiels. 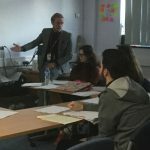 He used a variety of techniques to introduce Kant’s deontological ideas including the Ricky Gervais film ‘The Invention of Lying’ and Phoebe from Friends’ attempts at performing a selfless good act. 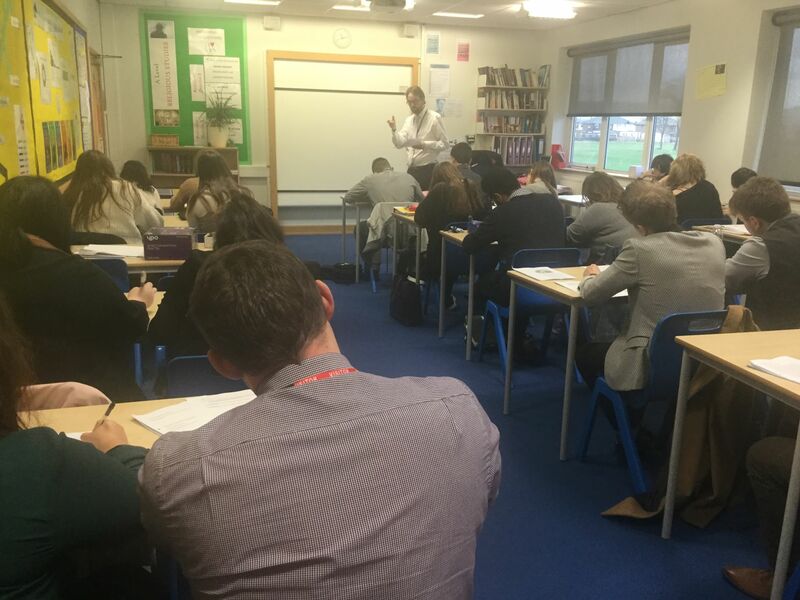 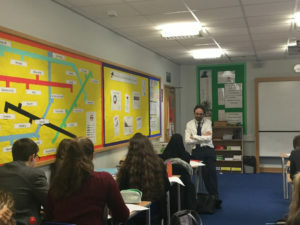 Lesson two was an Upper Sixth Philosophy lesson with Miss Daley, where the students were working in groups to revise the topic of Miracles. 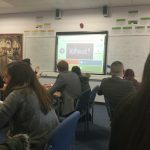 They used a market place activity before finishing with a fun quiz using buzzers. 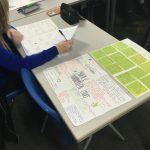 Progress was measured by students’ self evaluating at the start and end of the lesson using RAG scoring, allowing them to set their own revision targets. 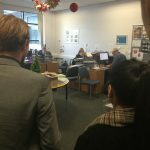 Both upper and lower sixth were handing in essays, reminding us about the demanding workload for students and teachers in the Sixth Form. 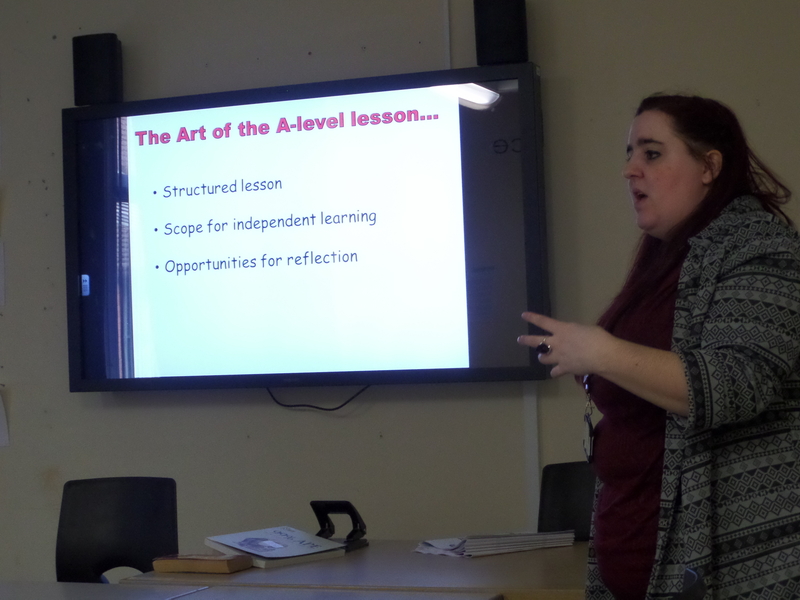 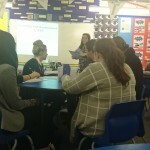 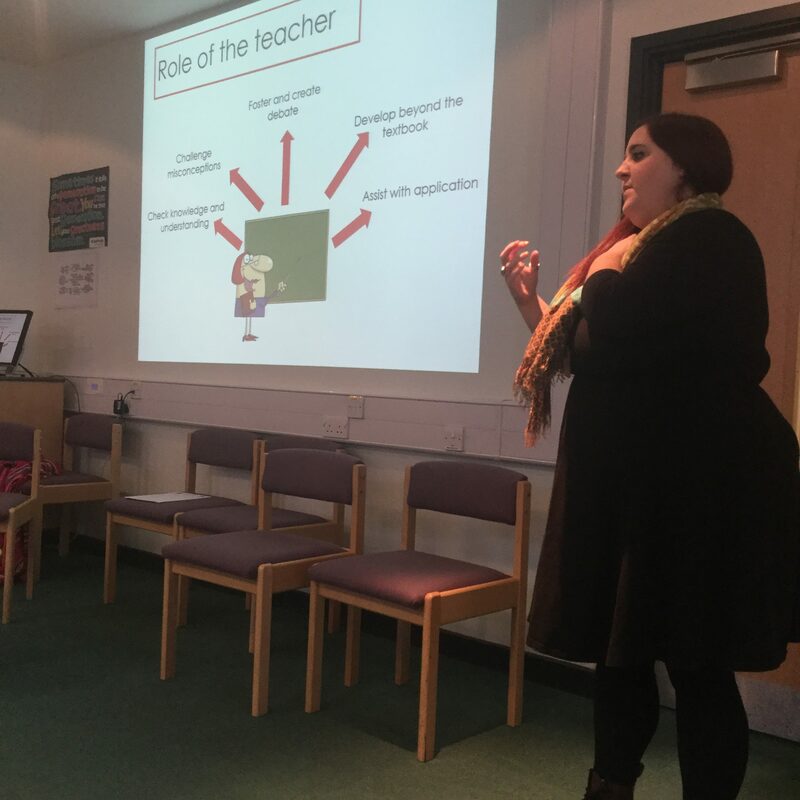 After a cup of tea in the staff room at break, Sarah led a session on teaching and Assessing RE at KS5, giving examples of what makes a good A level lesson. 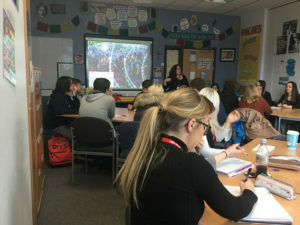 Students were struck the many of the techniques and activities were just the same as lower down the school, with structured lessons using active learning, an emphasis on questioning and facilitating independent learning – simply at a higher level. 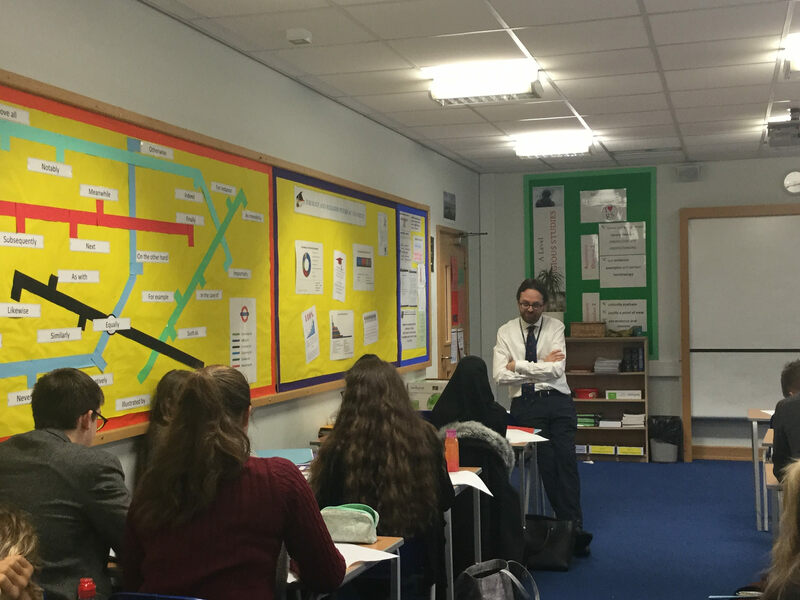 The morning ended with students working together to plan a short plenary for the Upper Sixth lesson on predestination which they then delivered. The undergraduates are now well prepared to plan and deliver A level classes on their final placement after Christmas, or even in their first teaching job! 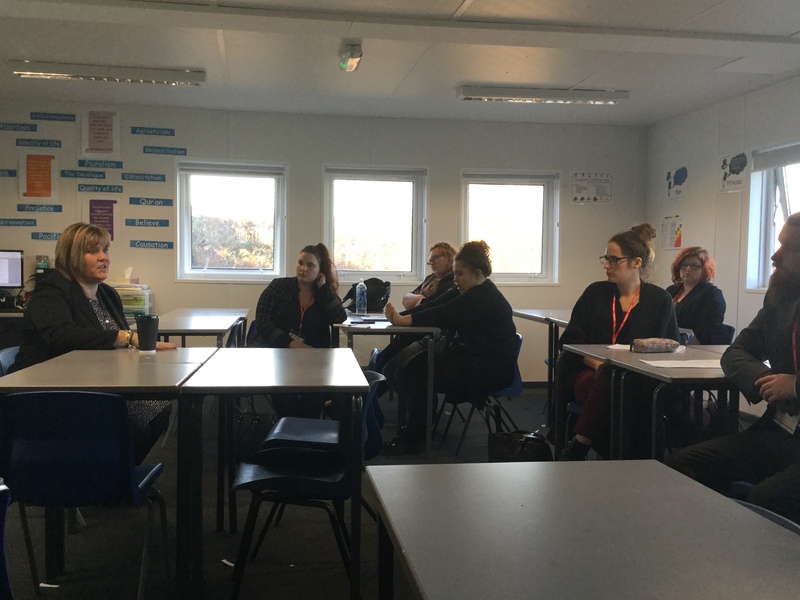 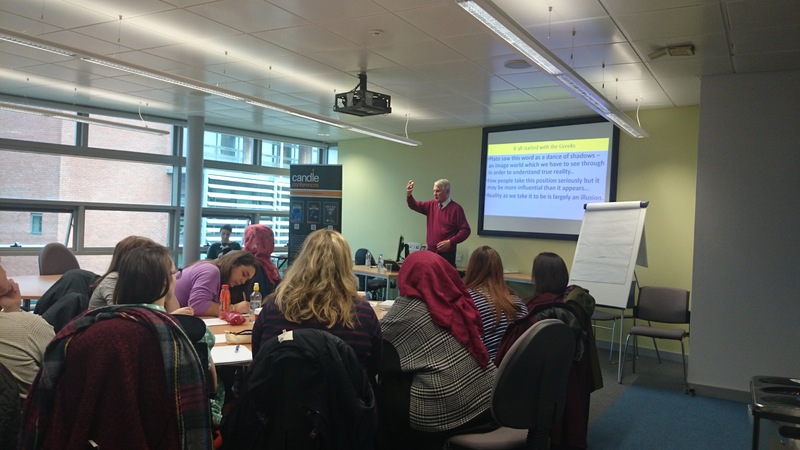 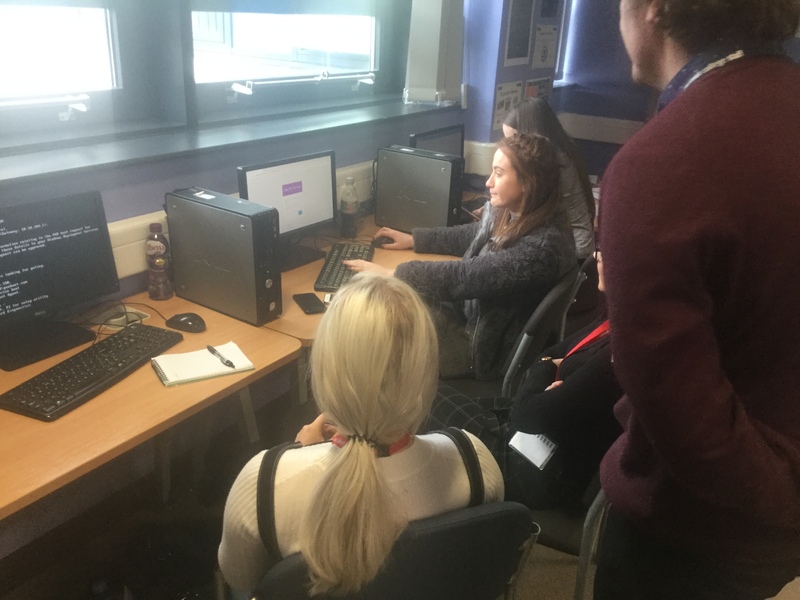 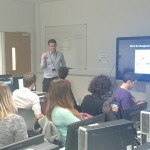 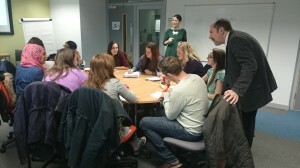 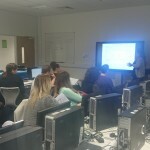 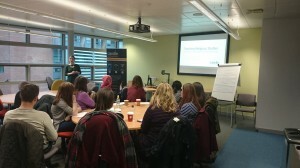 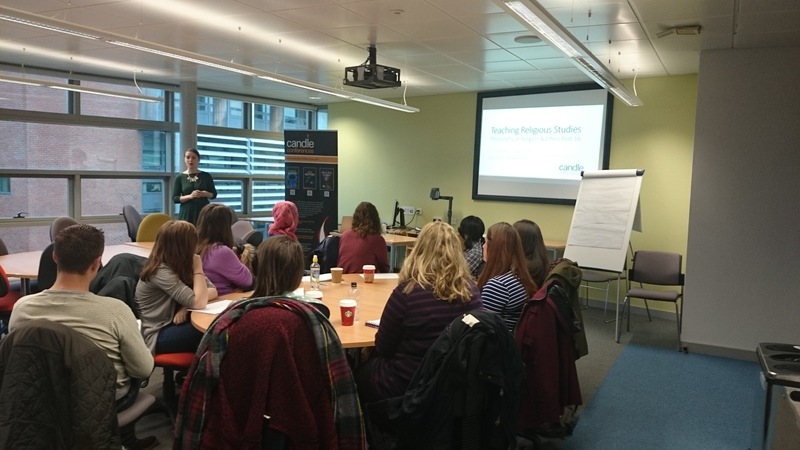 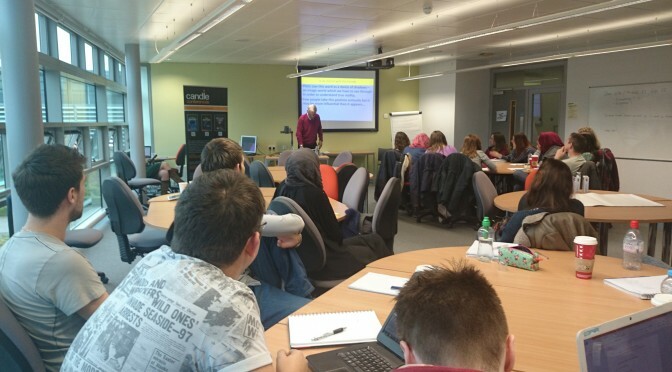 We were delighted to recently welcome Charlotte and Peter Vardy to Edge Hill to spend a day with a postgraduate and third year undergraduate RE students and a small number of school based patrners, helping them think about how to teach RS to pupils in the sixth form. 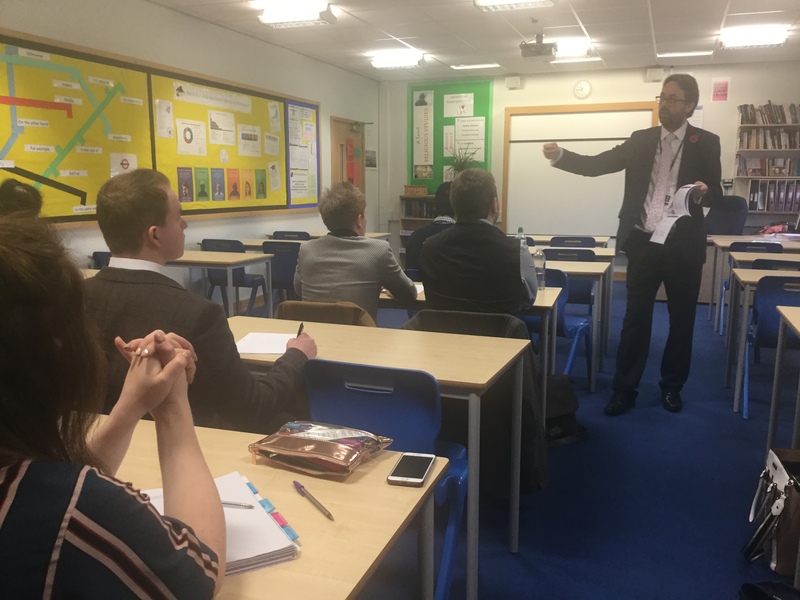 The day began with a discussion of the proposed changes to the GCSE and A-level content which have been proposed, followed by an introductory session considering what is truth and what this means in a post-modern age. 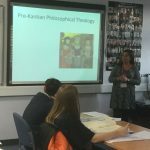 After a break came two weighty sessions led by Charlotte Vardy explaining some tried and tested approaches to teaching the Design Argument and the Cosmological Argument. 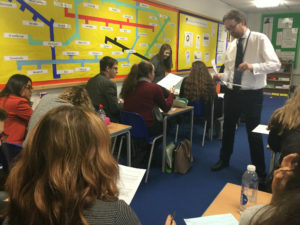 Students and teachers were able to improve their knowledge and understanding of the arguments, becoming more confident in their teaching. 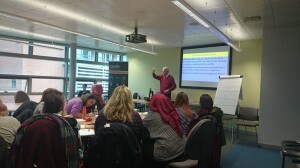 After lunch Dr Peter Vardy considered how to teach the problems of Evil and Suffering, considering the fundamental philosophical issues it raises about truth, human freedom and responsibility, before Charlotte Vardy explored Utilitarianism, considering what differentiates between mediocre teaching from excellent teaching in relation to this topic. The thought provoking day ended with a final Peter Vardy session discussing Natural Law and Sexual Ethics. 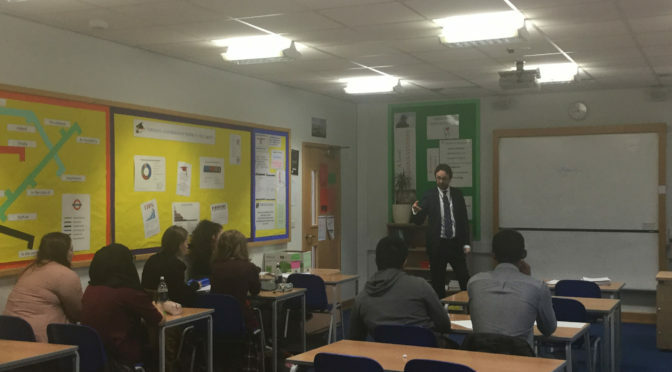 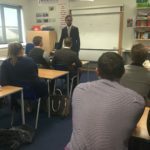 This was a mentally taxing day which was made much easier by the energy and enthusiasm of the speakers and has enabled students to be ready and confident to teach these topics during the Post 16 elements of their teaching placements. 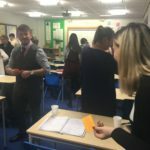 The school based partners were equally pleased to have been able to attend and leave having considered how to improve their teaching of A level. 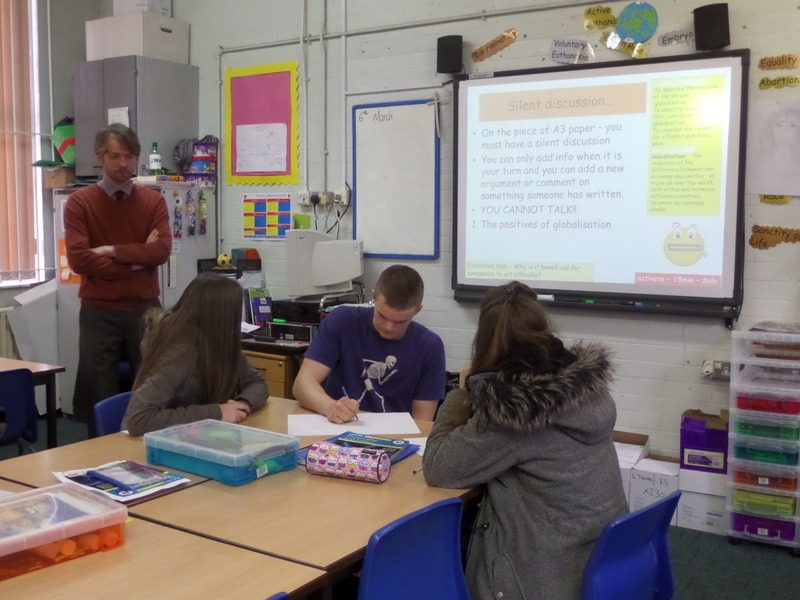 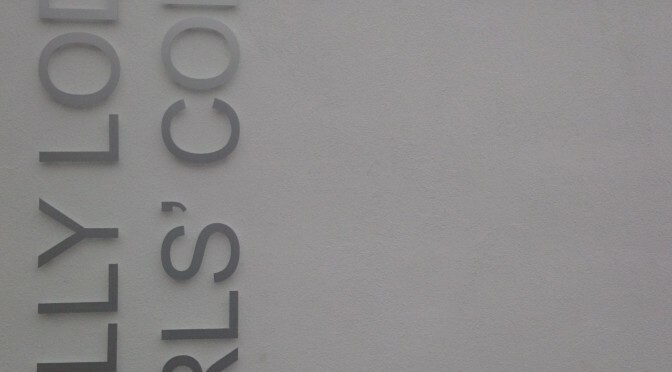 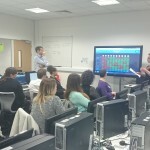 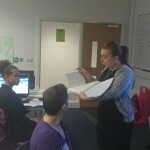 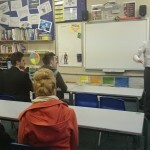 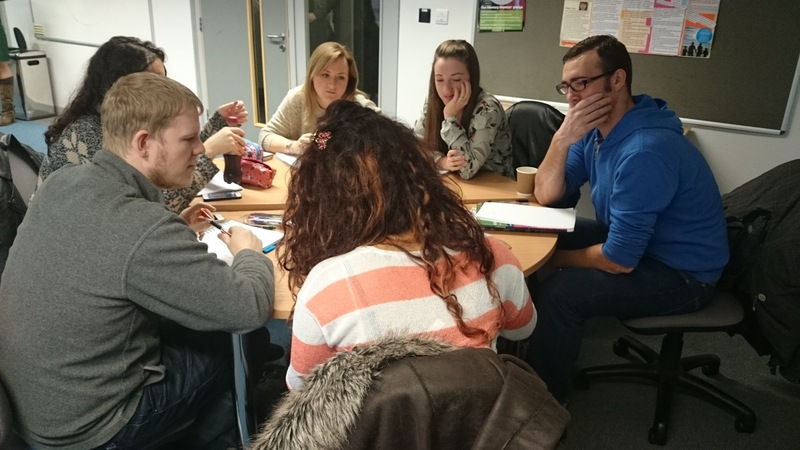 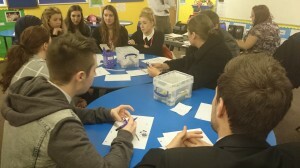 “Thanks for a informative, educational day” – Glynn, teacher of A level RS in a partner school.